First of all, wishing everyone a Huat Huat Chinese New Year 2019! As a relatively new investor at about a year in the market, the purpose of my blog is to provide a feedback loop mechanism to my trail of thought. Hopefully, in future I can look back and laugh at my silly thoughts and also hopefully refine them as I go along. The Pig came in at the last of the 12 zodiac animals because it overslept... lol. 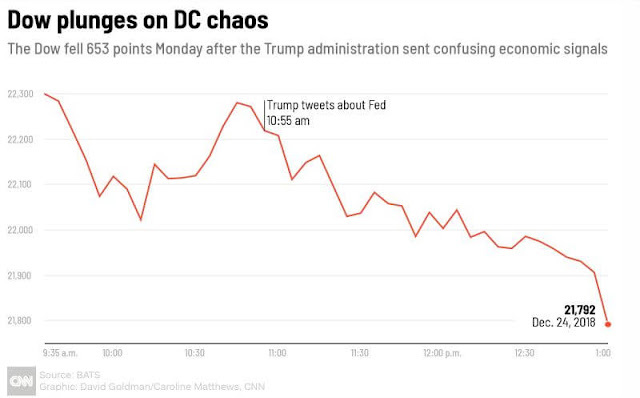 January 2019 had been a blast for many traders and investors. Many attribute it to the continuation of the Christmas rally, some said it was the January "bonus effect" where investors dumped their year end bonus into the market. There are quite a few investors from Investing Note whom I know made a killing because they bought into the market at a "low" where there was some panic if Mr Market was headed for a downturn. In fact, it was one of the worst Christmas Eve plunge in December as major indices dropped from an all-time high back in September. I wish I was as equally adept at trading. Ugly December Christmas Eve 2018. Trump probably needs to shut up lol. So, what did K.C. do in the first half of January? Nothing, except watch as the market rebound without adding any positions due to fear for a prolonged downturn. Of course, hindsight is always 20/20 but by mid January, it was obvious that the market wasn't going to crash (yet). I was still reeling from my losses in short term trading positions throughout December and early January. 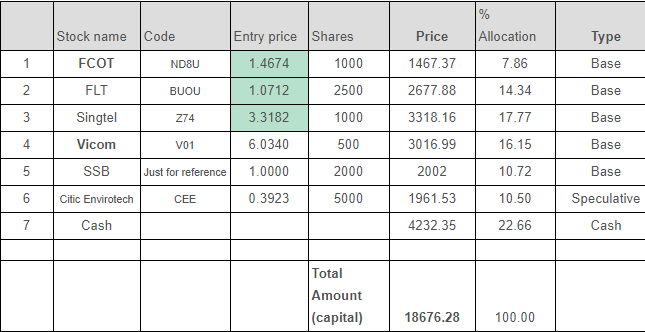 This paralysed me into inactivity as I studied and watched the market and didn't add on any positions until mid-January. Many seem to be able to time the market and reported winnings while my portfolio stagnated with the realised losses back in December. It is time spent in the market (invested), not timing the market. The ability to hold positions and ride through volatility seems to be a key component of a successful investor's setup. 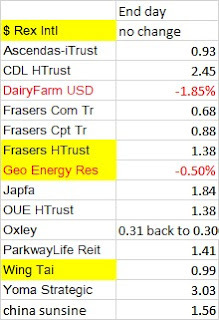 My REITs positions generally recovered and are in the green from the December losses and again I collected some dividends. We cannot predict where Mr Market would head but we can certainly decide if Mr Market is offering up good deals. But cheap and undervalued are often different to different investors who have a varying trading/investment time frame. 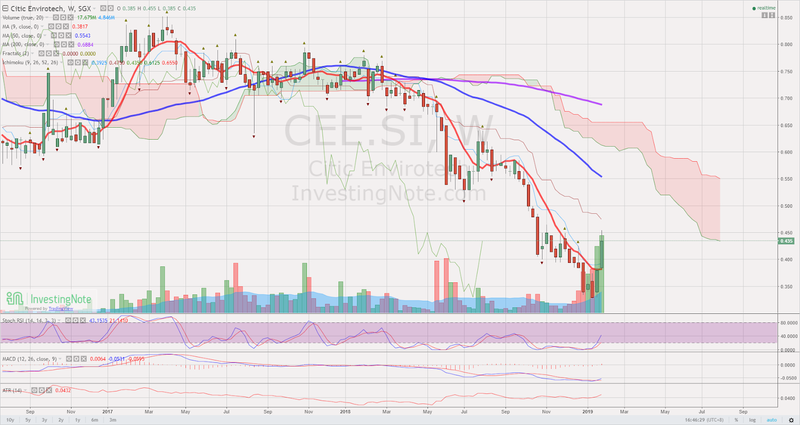 I began to re-consider what positions I would add to my portfolio that is suitable for my investment goals, possibly one longer term defensive counter and a short term trading position for January after sitting on the fence for some time. Defensive stocks are stocks that are likely to be mature stocks. This means that generally, there is not much growth in them. However, on the bright side of things, they can generally withstand a market crash better as they are likely to have a high free cash flow, decent growth/very stable and consistent dividends. 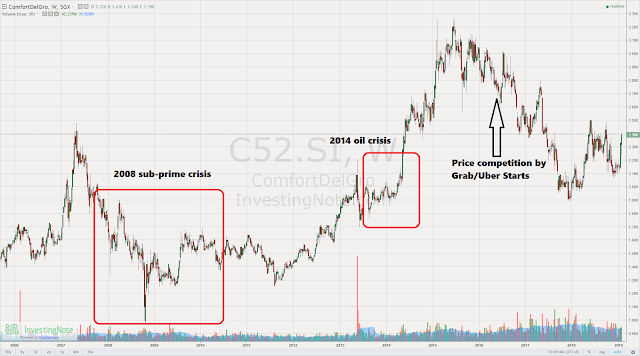 These stocks tend to be inert to market cycles and provides products/services that would still prove strong and in demand in a market downturn. Barriers of entry into the market, if any, are also a plus for these counters. Usual suspects would be telcos, utilities, transport, healthcare. As telcos are currently facing increased changes in the industry and I am already vested in Singtel, I decided to exclude them. How did some of these fare in 2008 crisis? SBS is a familiar name as a bus services operator to many Singaporeans as we take them very often on a daily basis. SBS also has been operating MRT services since 2003 (North East Line) and 2013 (Downtown Line). It also operates the LRT lines in Sengkang and Ponggol. In 2016, the government pumped $7 billion to move SBS transit and SMRT buses operations over to the new government bus contracting model (BCM) for better service against disruptions. On April 1 2018, LTA took over the assets when the government will take over ownership of the trains, signalling systems and other operating assets of the North-East Line (NEL) and the Sengkang and Punggol Light Rail Transit (LRT) systems from transport operator SBS Transit. A profit sharing between the government who will maintain the assets while bearing risks gives SBS protection from revenue hits. On Nov 9 2018, SBS transit announced strong surge in net earnings for Q3 2018. 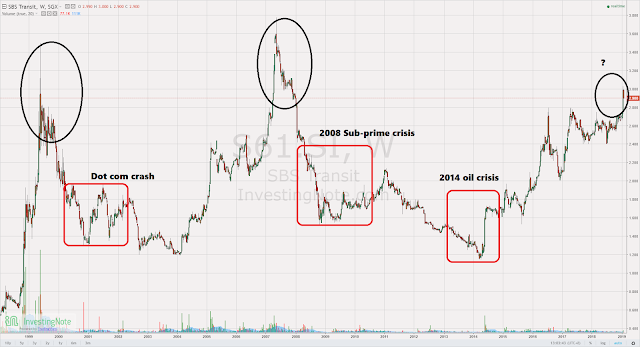 Historically, SBS doesn't look to be able to sustain very well looking at its chart history as generally the prices take a long time to recover in the past and it did not recover to its heights before 2008. It looks to be able to rebound better since 2014 oil crisis. I'm not a TA expert, but is that a Head and shoulders forming? However, new industry changes are likely to give SBS transit some room for growth while having some protection from the costs of maintenance due to the new asset light model. ComfortDelgro is also a familiar name to Singaporeans as it is the largest Taxi operator in Singapore. besides its Taxi business, it also owns business segments in bus, taxi, rail, car rental and leasing, automotive engineering services, inspection and testing services, driving centres, non-emergency patient transport services, insurance broking services and outdoor advertising. These are also geographically spread in the UK and Ireland to Australia, Vietnam, Malaysia, as well as across 11 cities in China, including Beijing, Shanghai, Guangzhou, Shenyang and Chengdu. In an old post from 2017, https://www.investingnote.com/posts/138743 CDG's Free cash flow also is very much been sustainable throughout the years. Recent price competition for its Taxi business segment by Private Hire Grab and Uber have beaten its earnings and share price but have stabilised since Uber's exit and a new normal has been achieved. I was actually looking to pick up CDG if it dropped close to $2 again but it has since rallied. In Jan 2019, the government announced new regulations towards Private Hire companies in a bid to streamline the taxi and private hire business. Vicom is another Subsidiary of CDG, whose main business segment are in services related to vehicle inspection and also Setsco (non-vehicular inspection and testing arm). There is a huge plus in Vicom as vehicular checks are mandated by law and Vicom owns the biggest market segment as the largest provider. As such there is a huge barrier to entry. According to a previous comprehensive report done in 2015 by the fifth perspective, Overall vehicles in Singapore have shrunk, with cars being de-registered are on the rise coupled with lesser new cars being uptaken due to COE prices. However in 2016, there was a rise in the number of rental cars in the market. This is also coupled with a corresponding shrinking population of taxis. Trends are likely to remain and the vehicle population is expected to stabilise. Setsco, on the other hand provides a wide range of testing, calibration, inspection, consultancy and training services to the aerospace, marine and offshore, biotechnology, oil and petrochemical, building construction and electronics manufacturing industries. According to Vicom's annual report, Setsco's performance depends on the general economic condition. Although Setsco does not publish separate annual report figures anymore, it has been keen to expand its testing capabilities over the years. Setsco Services Pte Ltd (SETSCO), completed several notable projects – both locally and internationally – during the year 2017. SETS Services DMCC, a wholly-owned subsidiary company, was set up by SETSCO in Dubai, United Arab Emirates to provide building glass inspection services. It won a contract to undertake glass inspection work on the external facades of Gold Tower and Silver Tower, Cluster l, in Dubai. Additionally, SETSCO secured contracts for the testing of sand and granite from the Building and Construction Authority and also various testing services for the Changi Terminal 5 project in Singapore. During the year, SETSCO also completed a shutdown project at a chemical plant in Jurong Island. To broaden our scope of services, SETSCO launched two new services in the year – certification services to companies which seek compliances to the requirements of different systems such as ISO 9001, ISO 14001 and ISO 18001 and consultancy services to provide investigation, evaluation, analysis and advisory to the clients that we serve. Vicom recently released its Q3 results in Nov 2018 and was up 5% in net profit and will announce its full year results on 11 Feb. This illiquid stock has a good cash flow and profit after paying out dividends each year and has no debts. 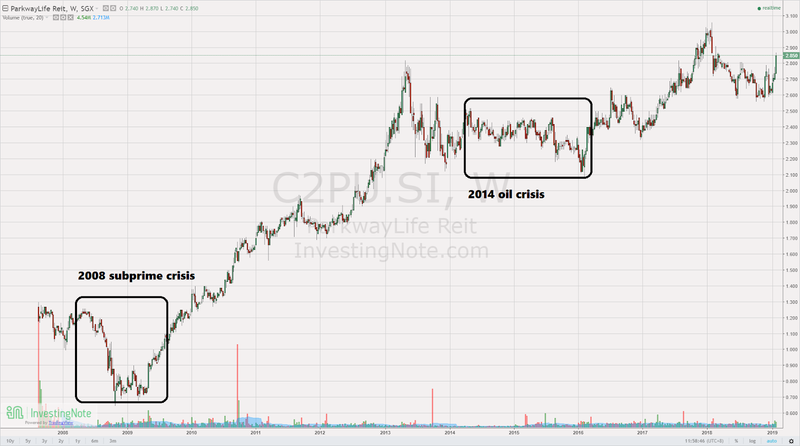 ParkwayLife REIT has been one of the most consistent counters with sustainable dividends and growth over the years. Parkway Life REIT ("PLife REIT") is Asia's largest listed healthcare REIT. It invests in income-producing real estate and real estate-related assets, used primarily for healthcare and/or healthcare-related purposes. As at 31 December 2018, PLife REIT's total portfolio size stands at 50 properties totaling approximately S$1.86 billion. PLife owns 3 major hospitals in Singapore namely Mount Elizabeth Hospital , Gleneagles Hospital and Parkway East Hospital. It also owns Gleneagles Intan Medical Centre in Kuala Lumpur. It also owns a host nursing homes in Japan. PLife also has a some features in place that gives it some buffer in trying times, namely the Triple Net Lease and also CPI + 1% rent review formula that guarantees 1% growth in rent if theres a deflation. For its Japan nursing homes, it also has a long term favourable lease structure with 100% committed occupancy. Unsurprisingly, PLife's revenue and DPU have generally been on the rise over the years. I have a half-baked hypothesis that I'm trying out at the moment: SGX has daily and weekly short sell volumes and recently I started to look at how these short sell volumes translate into chart movements daily, if they are absorbed well by buyers. These are some of the counters that popped up from the daily analysis that took place last week. Corroboration of data with daily charts, TA and trending would help me to study some of these counters more in depth. Either way, this is still a work in progress as I can see that its giving a bit of mixed results and I cannot be sure if this is a case of "the rising tide lifts all boats". Either way, it exposed me to a counter which I entered with a small position on 28th Jan (based on previous week). 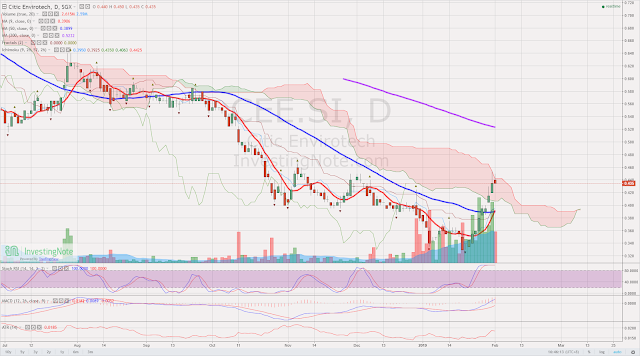 The counter entered was Citic Envirotech at $0.39. Citic Envirotech is an S-chip (China companies listed on the Singapore stock exchange and many would siam far far away) and is a leading membrane-based integrated environmental solutions provider specializing in water and wastewater treatment, water supply and recycling. It is also engaged in sludge and hazardous waste treatment as well as river restoration. CEL undertakes both turnkey and investment projects as well as provides plant operation and maintenance services in water and environmental projects. 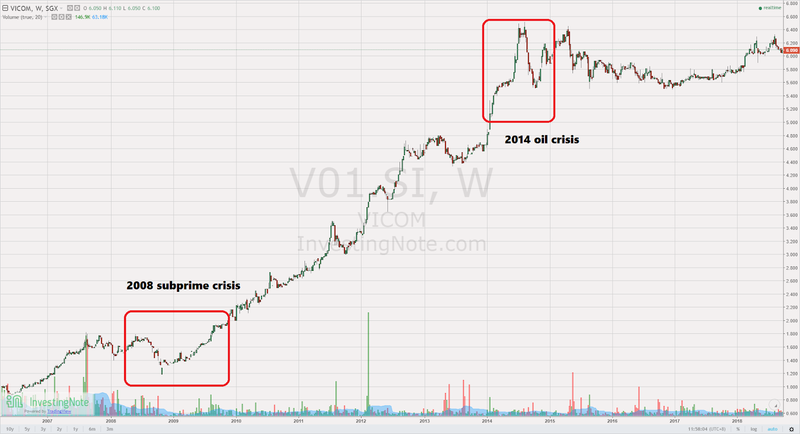 Layers on Investing note did a rather comprehensive writeup on Citic even though he decided against being vested. I would have to admit that my research into this company would be paltry compared to what Layers has done. Anyway, recent news of it securing contracts are likely to boost confidence, to which I will look to sell on news. As this is a highly speculative position for me, I am only vested in a small position. Just be careful with s-chip. Position is small in absolute size but not small in % size. Reply to @kc2024 : yes indeed closely monitoring! Reply to @Heracles : hello there! :) great to know that there is someone else on the same journey. Great sharing. My portfolio turned green in January. December was quite a scare for me, considering I only started selecting and buying individual stocks in the last quarter of 2018. All the best on your portfolio performance in the months ahead. Reply to @latemonkey : Hope you have a huat year ahead! The last quarter was a great time to buy on hindsight, but not before the losses. Its great that you are now in the green! Im also actively working to get my losses covered first. Reply to @TiKongKia88 : haha... where got zai. you got youtube channel leh more zai hahaha. Looking to learn more from you this year as well. Hope you have a huat year ahead too! Cheers! I am a new bird too. Fumbled my way through 2018. Reply to @kbl : haha good evening big boss @kbl lol. you where got new bird. Don't lie hahaha. Have a huat new year too and share more food posts and tips, okay? Reply to @Unintelligent_Nerd : Hope you have a huat year too! Thanks for sharing. May the year of the piggy bring you good profits!